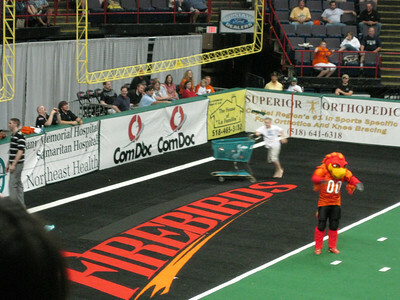 The photos in this gallery are dedicated to the public domain. 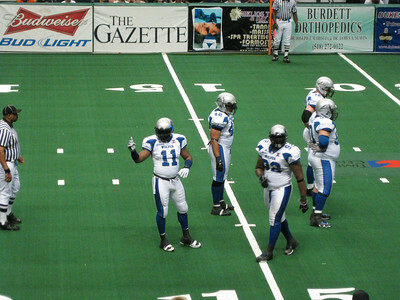 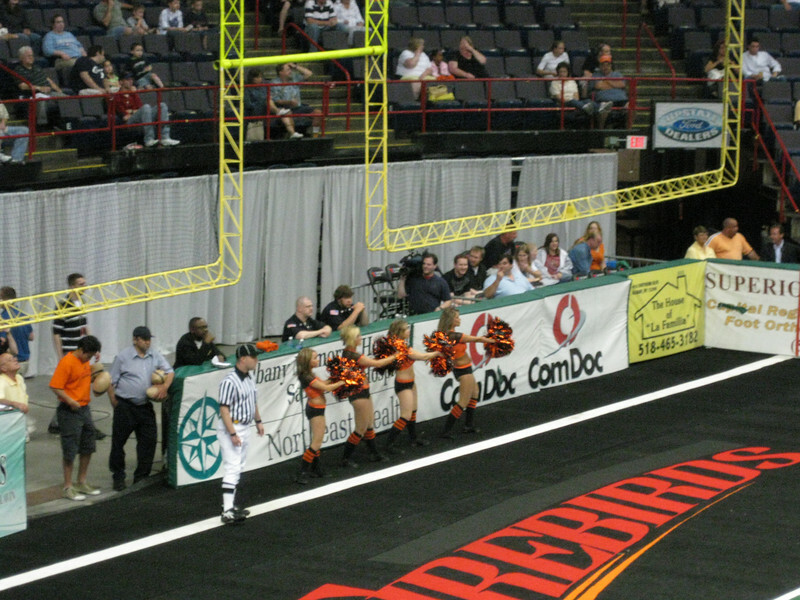 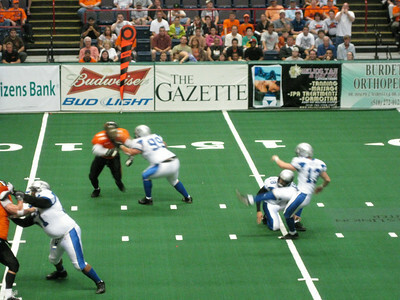 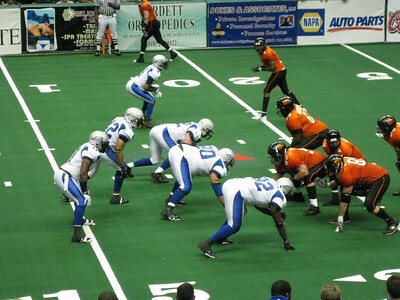 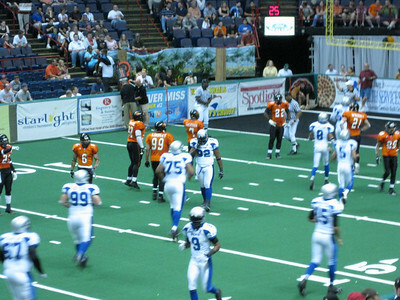 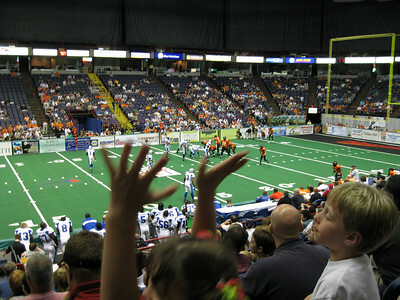 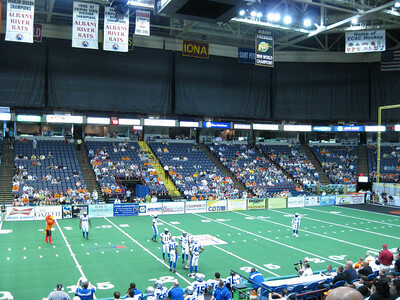 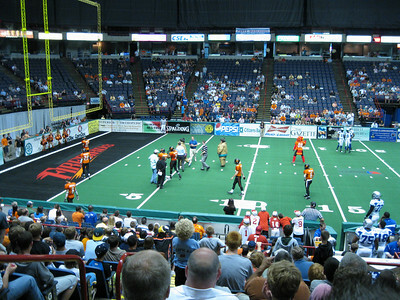 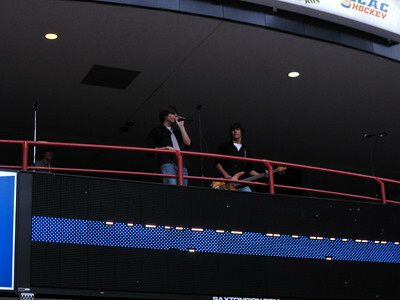 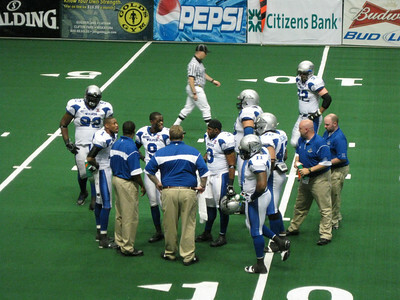 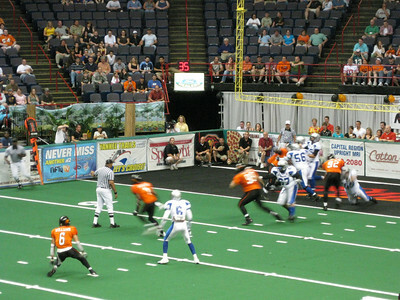 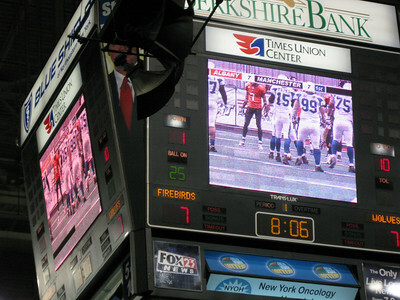 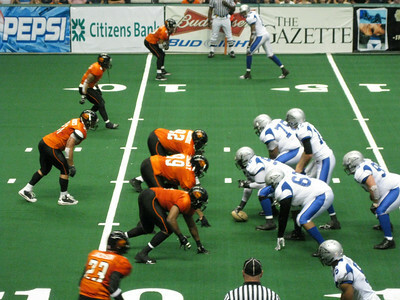 I went to the Manchester Wolves away game at the Albany Firebirds on July 11, 2009. 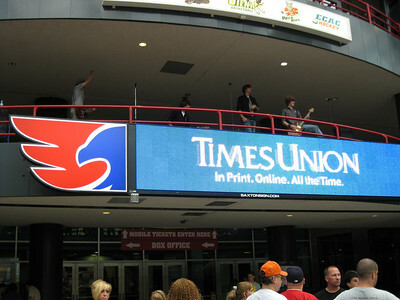 There was a band playing at the block party. 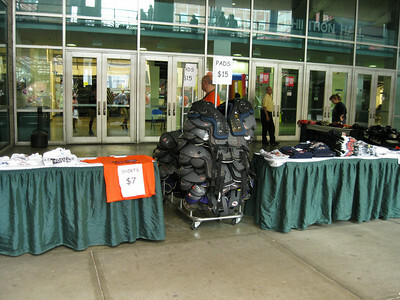 The Firebirds were selling old Firebirds and Conquest merchandise. 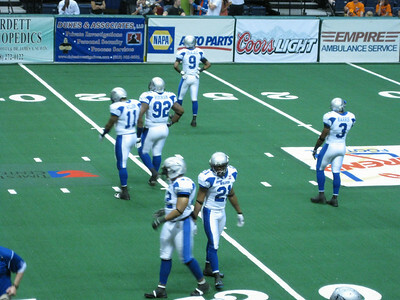 Pads were $15. 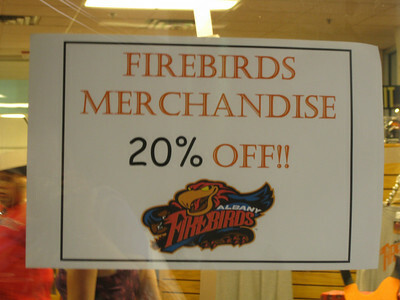 Firebirds merchandise was 20% off. 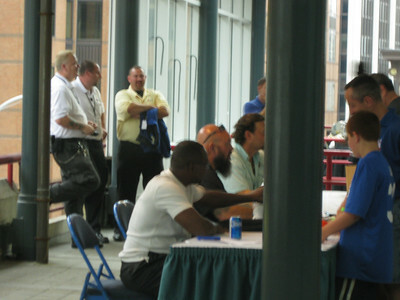 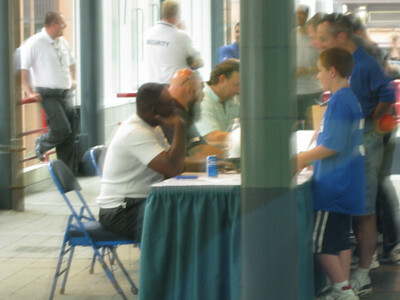 Former NFL players Mark Duper and Jim Jensen of the Miami Dolphins were having an autograph session. 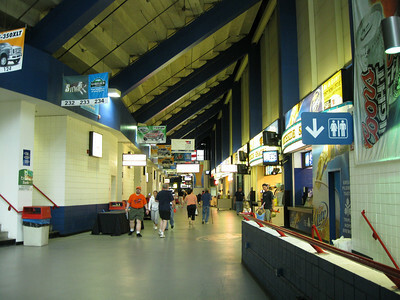 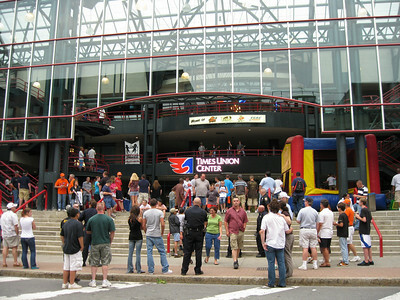 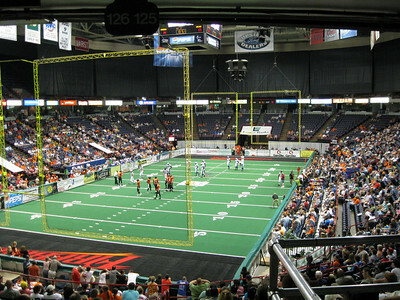 Inside the Times Union Center concourse. 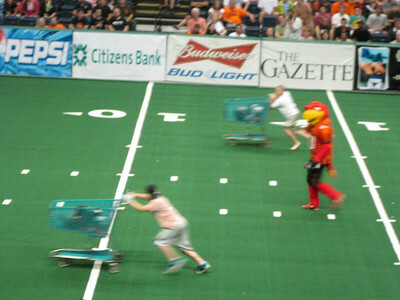 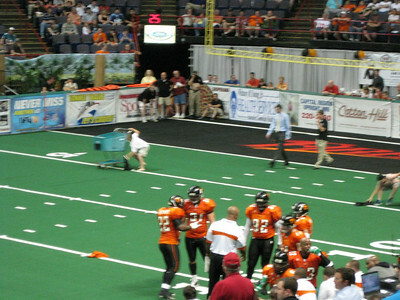 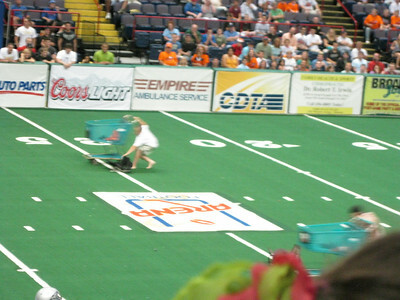 An on-field promotion involving shopping carts. 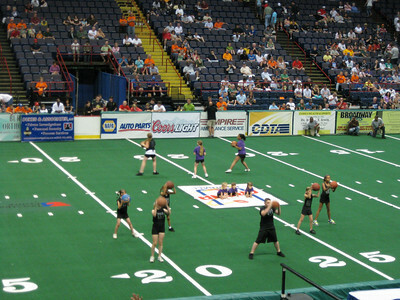 The Albany dance team held a dance camp. 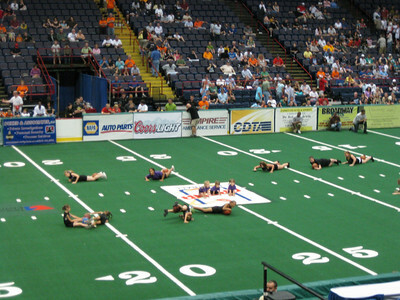 The dance camp kids performed at the game.